When I think of the color green, my mind conjures up images of weird or unappetizing things. Slime. Goo. Aliens. A person’s face before they’re about to puke. None of which are the least bit appetizing, nor healthy. But in the world of food, green is definitely a good thing. Green vegetables, fruits and other weird and wonderful produce symbolizes everything that is nutritious about naturally-grown, unprocessed food. Green foods are often a powerhouse of vitamins, nutrients and minerals, providing our bodies with the nutrients they need to achieve new heights of awesomeness. Without a little green in our lives, we’d be seriously lacking in some important nutritional and genetic building blocks. And because here at The Alternative Daily we that believe weird is a good thing, here are 13 rather strange green foods that you should be getting more of. Spirulina is a truly weird but wonderful superfood. The product of a freshwater blue-green algae grown under specific conditions, this green powder is now one of the most researched health foods today. Spirulina has a wide range of proven health benefits, including heavy metal detoxification, cancer prevention and cardiovascular support. A 2012 study published in the Journal de Mycologie Medicale found that mice diagnosed with candida, a type of fungal overgrowth that we humans also suffer from, showed significant improvements in their condition after being treated with spirulina. Another 2012 study, this time published in the Journal of Applied Phycology, discovered that spirulina may in fact improve the symptoms of patients suffering from HIV/AIDS. The spirulina health benefits go on and on. Reduced cholesterol, lowered risk of stroke, greater energy, weight loss and even allergy relief. Pretty darn impressive, for some powdered green algae! Like spirulina, chlorella is a single-celled micro-algae. It’s also green and a bit weird. Interestingly, chlorella is one of the most popular supplements in Japan, with over 10 million people using it on a regular basis. And those Japanese just might be onto something. 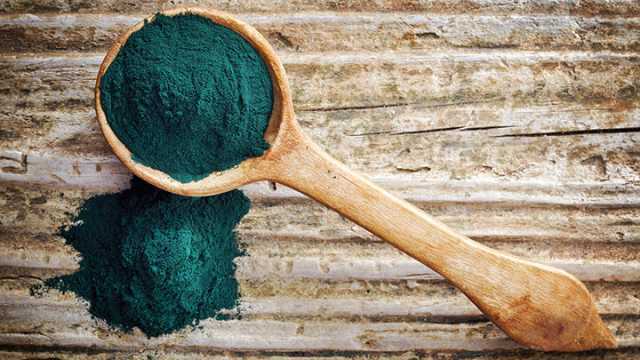 This potent green powder has been shown to be at least as powerful as spirulina in treating a wide range of health problems. These include immune system support, improved digestion and reduction in constipation. There’s also improved brain activity and focus, elevated energy levels, lowering blood pressure, regulating blood sugar and lowering risk of developing cancer. Probably the most important health benefit of chlorella, however, is its ability to detoxify the body. This algae’s detoxification abilities stem from its rich concentration of chlorophyll, which aids in a range of toxin eliminating functions. These include greater oxygen bioavailability, cleansing of the bowels, liver and blood, promoting optimal blood pressure and eliminating molds from the body. Over the past couple of decades, you’ve probably grown to love avocados. They’re absolutely delicious and amazingly versatile. Because they’ve become such a staple to the mainstream American diet, you’ve also probably stopped thinking of them as weird. But if you think back to when you first encountered your first avocado, you can probably agree that it was a little unnerving. They contain strange bumpy alien-like skin on the outside, bright green, almost vivid flesh, then a large, perfectly round pit in the middle. If there’s such a thing as aliens, I can certainly picture them eating foods that look like avocados! Beyond the weirdness, avocados are unarguably one of the most nutritious foods on earth. They’re rich in heart-healthy monounsaturated fats, low in carbs and contain high levels of vitamin K, folate, vitamin C, potassium, vitamins B5, vitamin B6 and vitamin E. Turns out that guacamole isn’t just a tasty treat after all. The Italians, French and Portuguese might not consider rapini to be a strange green food, but most Americans probably would. 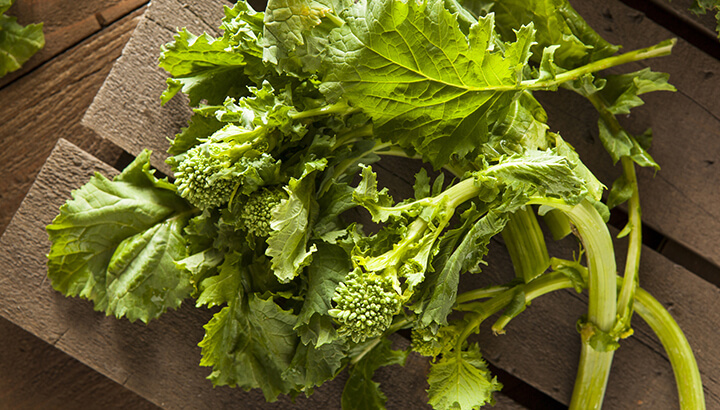 Our European counterparts have been using this vegetable, also known as broccoli rabe, for hundreds of years. Here, it only occasionally makes an appearance on supermarket shelves. Rapini contains all of the beneficial nutrients that broccoli provides, including vitamin A and vitamin B6. This green vegetable has been associated with a wide range of benefits, including reduced risk of colon cancer and prevention of stroke. Guavas look like a cross between a weird-looking apple and a lime, placing them comfortably in the “weird green foods” group. This fruit contains a wide range of nutrients, including vitamin A, vitamin C, folic acid, potassium and copper. It’s also a great source of dietary fiber. These nutrients make guava a great choice for naturally lowering your risk of cancer, improving your eye health, hydrating your skin, lowering risk of diabetes and fighting constipation. Marine phytoplankton might just take the cake when it comes to truly strange, truly healthy superfoods. Phytoplankton are neither plants nor animals, belonging to a group of single-celled microorganisms called protists. Aside from being classified as the most important organisms in the world, marine phytoplankton are a nutrient and antioxidant powerhouse. Scientists continue to be amazed by this all-important life form. They have so far uncovered hundreds of nutritional compounds in this green powder… including every known nutritional molecule! Aside from replenishing a whole host of vitamins, minerals and nutrients in your body, phytoplankton provide a wide range of other great health benefits. These include detoxification, improved mood and energy, liver support, cellular regeneration and elevated methylation. Not bad for a single-celled organism! Few people would argue with me when I say that artichokes are just a little bit weird. They also make a great dip, taste amazing on pizzas and can even be used in baked dishes. But where artichokes really perform is with regards to your health. They contain a wide range of important nutrients, including quercetin, which wards off cancer. They also contain silymarin, which may assist in liver tissue regeneration. Artichokes also contain rutin, a natural compound that promotes cardiovascular health. This hardy, annual vegetable is typically consumed in Germanic countries. It is otherwise known as turnip cabbage or German turnip. It’s more than a little strange to look at, but it has bucketloads of proven health benefits. These include improved digestion, weight loss, cancer protection, immune system support, metabolism regulation, increased circulation, improved bone density and improved eye health. 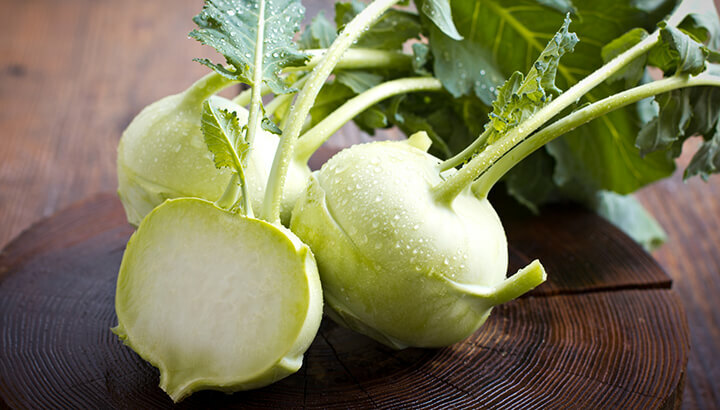 Kohlrabi is also rich in potassium, copper, manganese, iron, calcium, B vitamins, vitamin C and vitamin A.
I don’t know about you, but I find the woody, spear-like asparagus shoots more than a little strange. Once considered a delicacy, asparagus is now a regular on supermarket shelves. This curious vegetable is highly anti-inflammatory, containing a number of powerful compounds that significantly reduce inflammation in the body. These include asparanin A, sarsasapogenin, protodioscin and diosgenin. Added to this are the high levels of vitamin C, beta-carotene and vitamin E in asparagus. These three work together to prevent the oxidative damage of free radicals in your body, slowing the process of aging and lowering your risk of developing cancer. The average gardener probably has a personal vendetta against purslane, which just so happens to be a common weed. It’s also an amazingly nutritious, edible vegetable that’s native to India but found in backyards around the world. Purslane has been shown to exhibit neuroprotective effects on the human brain. Researchers in one study found that purslane supplementation in rats resulted in higher brain activity, lower levels of stress and anxiety, and improved learning and memory abilities. Purslane can also fight the development of cancerous tumors and protect your liver from everyday wear and tear. Also known as “ladies’ fingers” and “gumbo,” it’s immediately apparent that this green vegetable has its fair share of strange. Looking like a cross between a bean pod and zucchini, okra contains plenty of vitamins A, B, C, E and K. It also contains significant concentrations of calcium, iron, magnesium, potassium and zinc. These nutrients make okra an effective way to naturally treat high cholesterol, digestive problems, the risk of cancer, high blood pressure and more. Similar to purslane, dandelions are almost universally hated by most gardeners as highly persistent weeds. 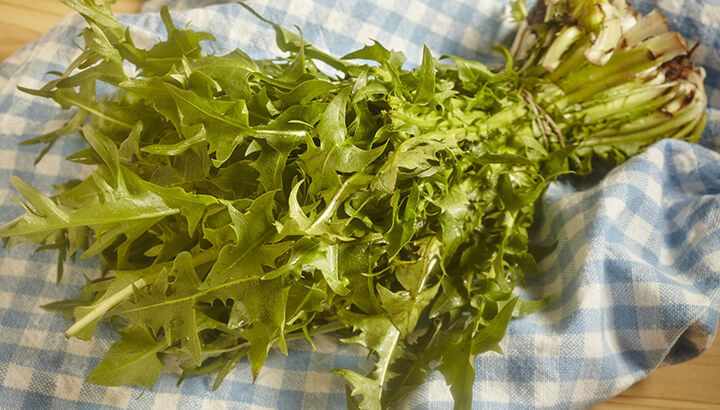 Also similar to purslane, dandelion leaves are one seriously nutritious weed. Dandelions contain plenty of vitamin A, vitamin C, iron and calcium. They are associated with improved bone health, improved liver function, lower risk of diabetes and healthy skin. This ultra-healthy green vegetable is weird not because of the variety, but because of the part of the vegetable that’s used. Everyone has probably chomped into a beet bulb (otherwise known as beetroot) at some point in their lives. But I’d bet my mustard greens that very few people have thought to use the bright green leaves attached to their beet bulbs. It turns out these leaves are actually highly nutritious, containing over seven times your daily recommendation for vitamin K (you’ll never get enough of this important macronutrient), 40 percent of your copper RDA and 15 percent of your iron RDA. So next time you buy your beets with leaves intact, think twice before you throw away the green bits! What’s your favorite green food? We’d love to hear from you! Next articleLive Dissections At The Zoo: Educational Or Just Cruel? Hey Buddy!, I found this information for you: "13 Strange Green Foods Everyone Should Eat". Here is the website link: https://www.thealternativedaily.com/strange-green-foods-to-eat/. Thank you.